(Recommended for credit card/debit payment up to 30 tickets). 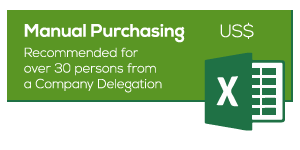 (Recommended for over 30 persons from a Company Delegation). * Early Bird pricing only available for first 100 tickets and before April 30th. 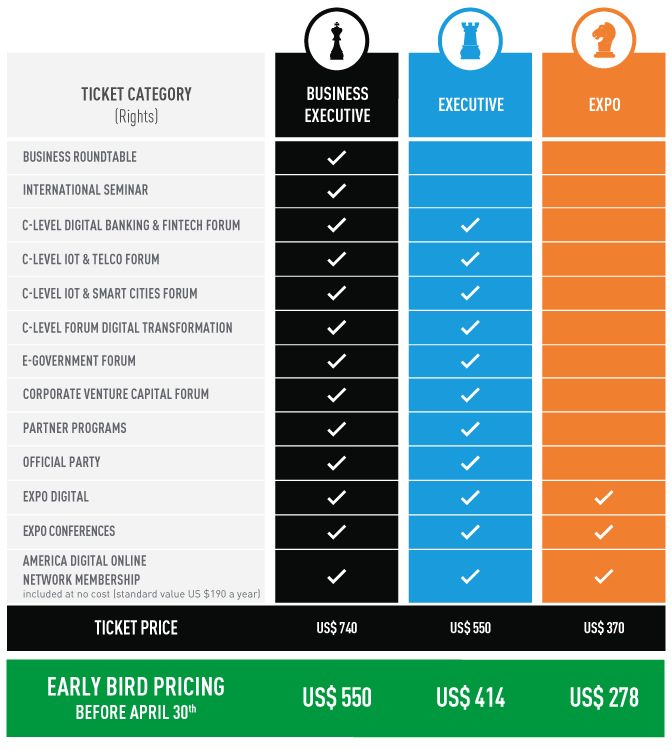 ** Only 1000 business executive tickets and 2000 Expo tickets available for New trade missions and company delegations willing to participate. Because 70 % of Congress capacity is already reserved by organizations and companies that have participated previous years. *** For new companies and organizations participating in America Digital Congress 2019. It is recommended do their tickets reservation 6-8 months in advance. (Under availability). **** You can download full program here.